Wow, it doesn't look possible! All the best with your open garden days. Thanks! Let's hope the weather behaves!! 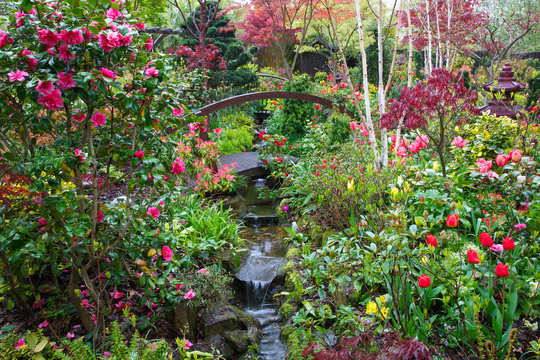 Your garden is Beautiful Fourseasons reminds me of a Thomas Kinkade painting, All the best with your open day. That is so stunning! Amazing colours and as Stera says, it doesn't look possible to have that amount of colour! Best of luck with your open days, I am sure everyone will be so impressed. Well done. Filming took place recently in our ‘Four Seasons’ garden in Walsall for a new television gardening series featuring Charlie Dimmock. Charlie will be working with two of the "hottest new stars" in gardening – Chelsea Flower Show Gold winners The Rich Brothers. 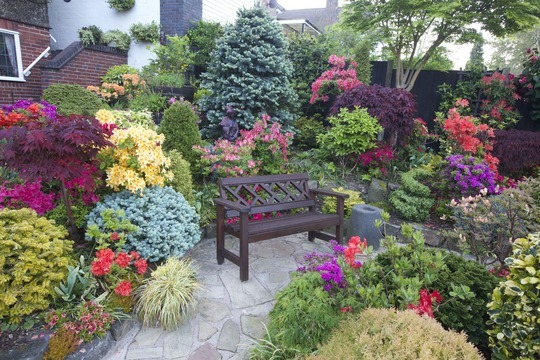 The television director chose to contact us since they were looking for a lovely garden in which to film the three presenters for the programme title card as well as a sequence for the start of each episode of the 20-part series. 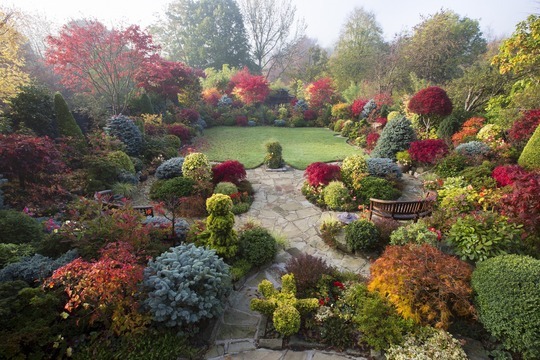 In this new garden makeover series for BBC1, to be broadcast this summer, the presenters will combine their talents to transform dreams into realities for gardens across the country. Fabulous !!!. 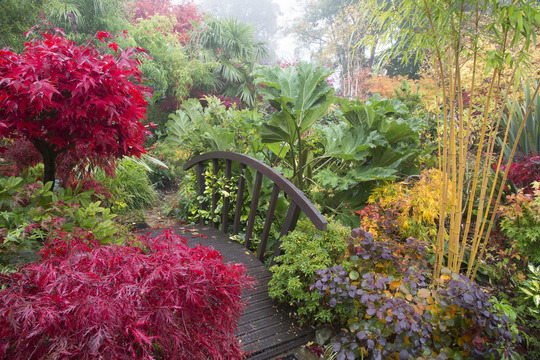 All that colour is amazing..
BBC Gardeners' World did a whole half-hour programme on our garden back in 2010 after filming us throughout a year. in 2013 we were in the trees episode of the Great British Garden Revival. 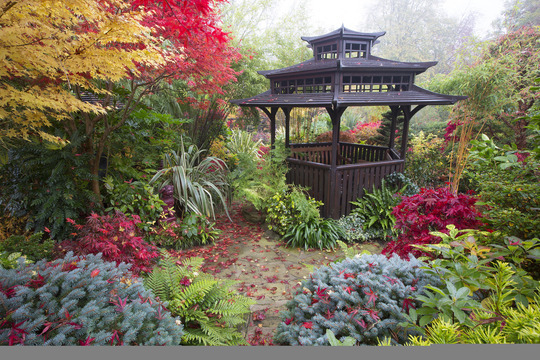 In 2015 we were flabbergasted when ‘Four Seasons’ was awarded first place by Alan Titchmarsh in the ITV series: Britain’s Best Back Gardens. 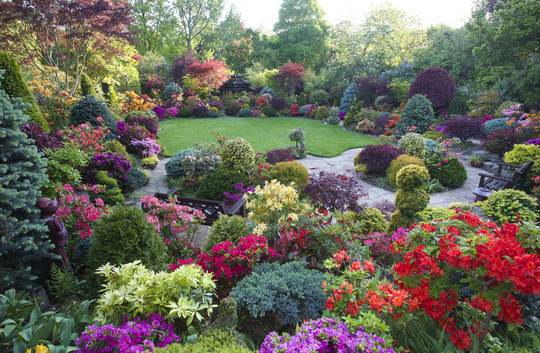 He said that we had achieved the impossible: A show garden, no matter what the weather or season. Merry Christmas. Long time no to chat. Hope this mail find you well. I and my friends are planning to goto UK in next May time. We likes to see Spring in UK with a lot of green. Your garden attracts me a lot. From pictures, we like much and are really keen to visit you. Current planning time is on 24th of May. Feel sorry to dusturb you in your busy time. We hope we can meet each other. Please let me know if it is fine for you all. Happy new year and have a great xmas.